Abby Singer/Songwriter blends documentary and narrative with the lost art of the music video to tell the story of a comeback, a crack-up and a breakthrough. 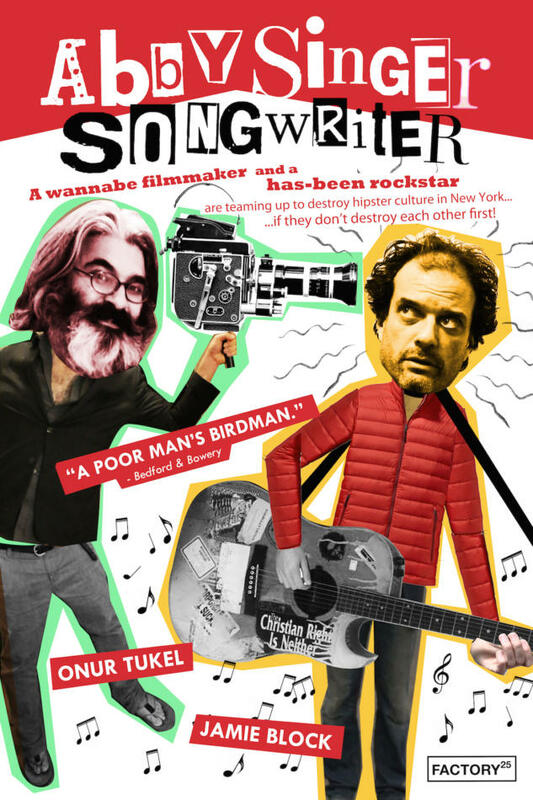 In Abby Singer/Songwriter, Jamie Block – a divorced stockbroker has-been who was once an indie-rock star signed to Capitol Records – meets Onur Tukel, a hapless middle-aged filmmaker who has just moved to Brooklyn. In this coming-of-middle-age story, Onur persuades Block to sink his money into a se-ries of increasingly absurd music videos to promote his comeback as a musician. Desperate to impress his two beautiful, nonchalant teenaged daughters, Block casts them in the videos, which then play on multiple screens throughout this hallucinatory film. As tension mounts between director and musician Block’s bank account and grip on reality dwindle.